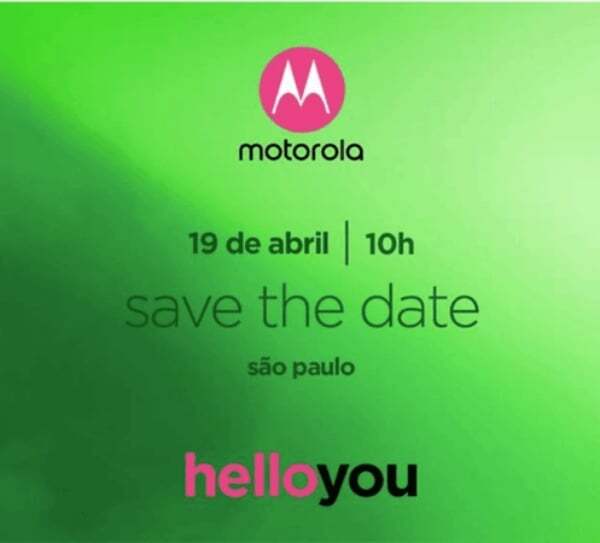 Motorola has already confirmed that it’s going to launch new smartphones this month in several countries and it looks like Motorola Brazil is taking the initiative as it started sending media invites for an event to be held on April 19. While the Brazilian unit did not reveal what it’s going to launch at the event, we’re expecting the Lenovo-owned company to launch the Moto G6 and Moto E5 lineup at the event. In the past too, Motorola has launched smartphones in Brazil before making them official in other countries. Going by the reports, the Moto G6 lineup includes three phones- the standard Moto G6, the bigger Moto G6 Plus and the smaller Moto G6 Play. The Moto E5 lineup is also said to come in three versions- the Moto E5, Moto E5 Plus and the Moto E5 Play. It’s unknown whether the company is planning to launch the Moto Z3 smartphones at the same event. As far as specifications are concerned, the Moto G6 Plus will come with a bigger 5.93-inch Full HD+ display, Snapdragon 630 SoC, up to 6GB of RAM, dual rear cameras, Android 8.0 Oreo and a 3250mAh battery. The G6 Plus is said to arrive in five different colours: Silver, Gold, White, Blue and Cyan. Next on the list, we have the Moto G6 which is said to sport a smaller 5.7-inch Full HD+ display, Snapdragon 450 SoC, up to 4GB of RAM, dual rear cameras, Android 8.0 Oreo and a 3000mAh battery. Lastly, the Moto G6 Play is rumoured to flaunt a 5.7-inch HD+ display, Snapdragon 427 SoC, up to 3GB of RAM and a beefy 4000mAh battery. It’s unknown whether the Moto G6 Play will house dual rear cameras or not. The Moto E5 devices, on the other hand, will be less powerful when compared to the Moto G6 devices. As stated, the Moto E5 lineup also consists of three smartphones- Moto E5, Moto E5 Plus with a massive 5000mAh battery and the Moto E5 Play aimed at some emerging markets such as India. Right after the launch in Brazil, Motorola will launch the smartphones in India. The Moto G6 Plus will compete with the Nokia 6 (2018) in India. Xiaomi and honor are brands for 5-6 years like Leeco and micromax. Xiaomi and honor should go back to china. I hope Honor 7X and Redmi Note 5 Pro takes up all the market this year!!!! !